. يعمل Jacksons Motor Inn على ضمان إقامة مريحة لضيوفه من خلال خدماته الممتازة وحسن ضيافته. يمكن لضيوف الفندق الاستمتاع بالميزات التالية على أرض الفندق: واي فاي مجاني في جميع الغرف, متجر, خدمة التنظيف يوميًا, مرافق مخصصة لذوي الاحتياجات الخاصة, واي فاي في المناطق العامة . بالإضافة لهذا,تتضمن كل غرف الضيوف مجموعة واسعة من وسائل الراحة . بعض الغرف توفر حتى تلفزيون بشاشة مسطحة, حوض الاسترخاء, غرف لغير المدخنين, مكيف هواء, تدفئة لإرضاء أكثر الضيوف تطلباً. سواء كنت من محبي الرياضة أو كنت تتطلع لتفريغ عناء نهار صعب، ستجد خدمات ذات مستوى عالي بانتظارك كمثل مركز للياقة البدنية, حمام سباحة خارجي, سبا, ملعب تنس, حديقة. إن كنت تتطلع إلى إقامة مريحة وهادئة في أديليد، فستجد في Jacksons Motor Inn بيتك الثاني. يفرض العقار وديعة للمفتاح بقيمة 50 AUD لكل غرفة. يخضع مكان انتظار السيارات المحدود البعيد عن الشارع لمدى التوافر. 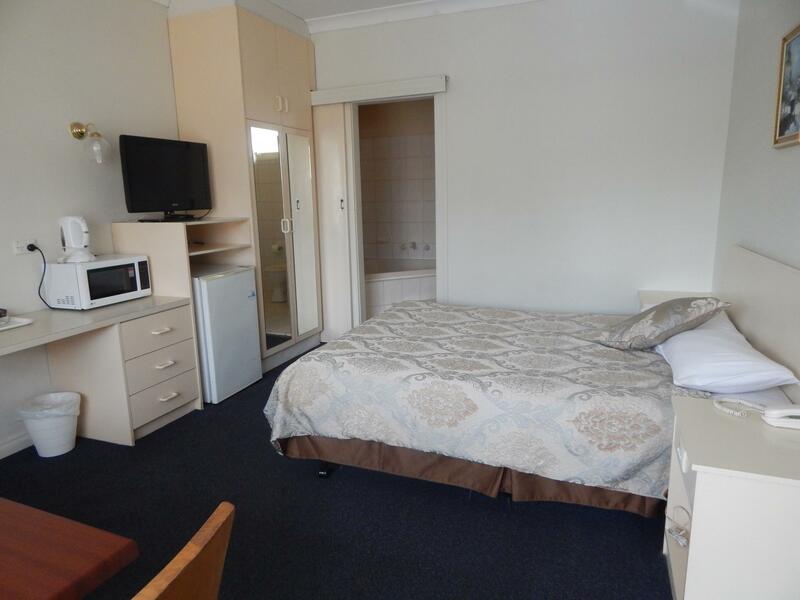 This motel is an older style, with plenty of off street parking available. The room was spacious and clean despite its age. The bed was comfortable and well appointed. The pool was clean and inviting. The staff were friendly and there was lots of information about the local attractions available at reception. The guy at reception was so helpful and had this seemingly natural ability to ensure guests were comfortable and that their needs were accommodated. Had a couple of issues regarding early check-in but was able to have it resolved within minutes. I was reluctant leaving me room and a group of several teens were in the room next door and loitering at my door. Could hear them talking till early hours which was distracting when attempting to write my thesis. I found a bed bug under the sheets. First time ever despite having stayed here many many times before and hadn't had any issues. The staff, location, and value for money is exceptional and I will continue to speak highly of this place. 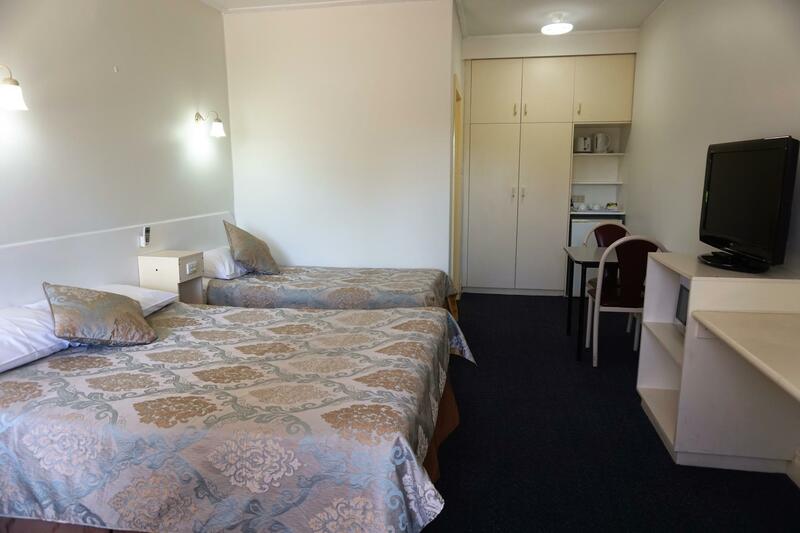 Jacksons Motor Inn is a good budget option with free on-site parking, only a short 10-minute drive from the CBD. Check-in was a breeze, as was check-out. The room was bigger than the Chinatown hotel we've often stayed at in the past, and the bed was pretty comfortable, albeit a little too soft for me - Having said that, the missus claims it was more comfy that sleeping at home, so what do I know. Complimentary tea, coffee, milk. Fridge, kettle, toaster, microwave. A few minor design flaws: - Curtains slightly smaller than the window, needing to be wedged into the door to ensure privacy at night. - No floor drain in the bathroom, so with the shower drain partially blocked, slippery sudsy water overflows all over the bathroom floor, leaving it wet & slippery for several hours. 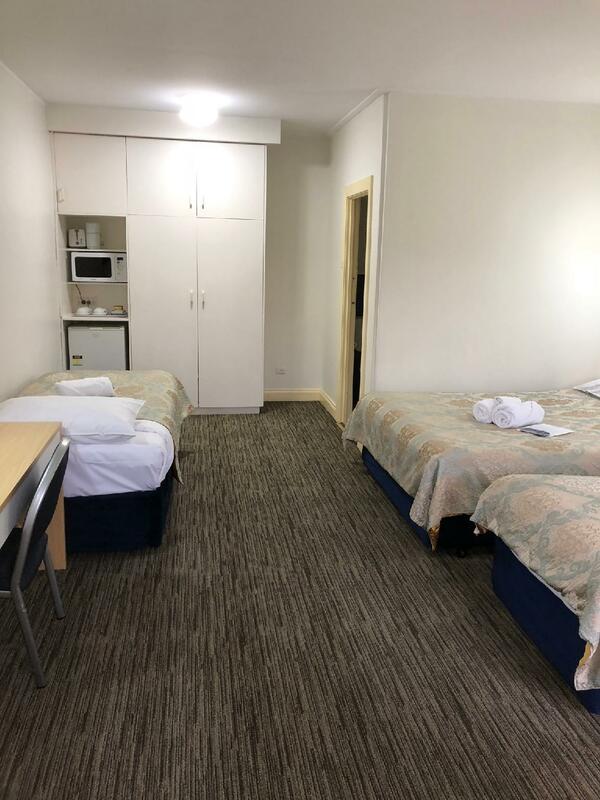 Nevertheless, we would be happy to stay at the Jackson motor inn next time overnighting in Adelaide, as it provides an overall good balance of price-facilities-location. Jacksons Motor Inn was a comfortable place to stay for a few nights. We had a car but it was central with the coast, city and hills not far away. 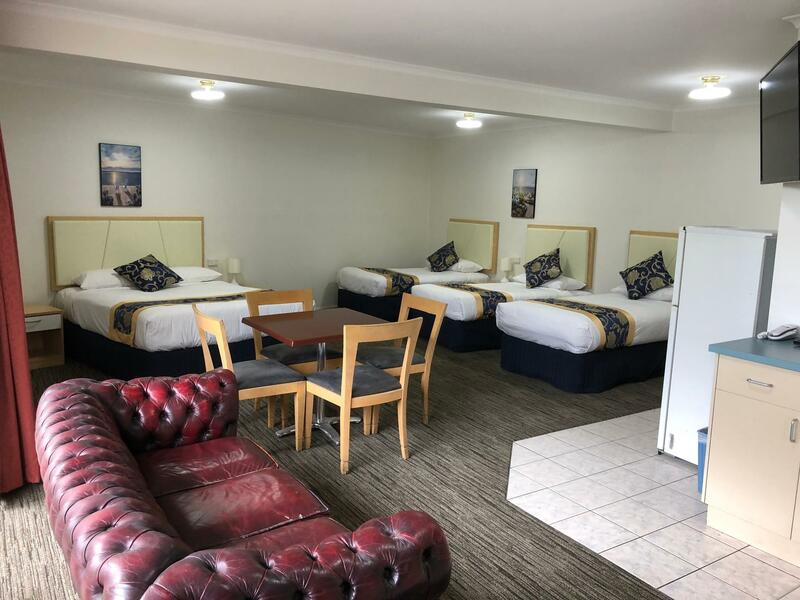 Beds are comfortable, rooms clean and have everything needed for an enjoyable stay. There is a nice little café just around the corner too. 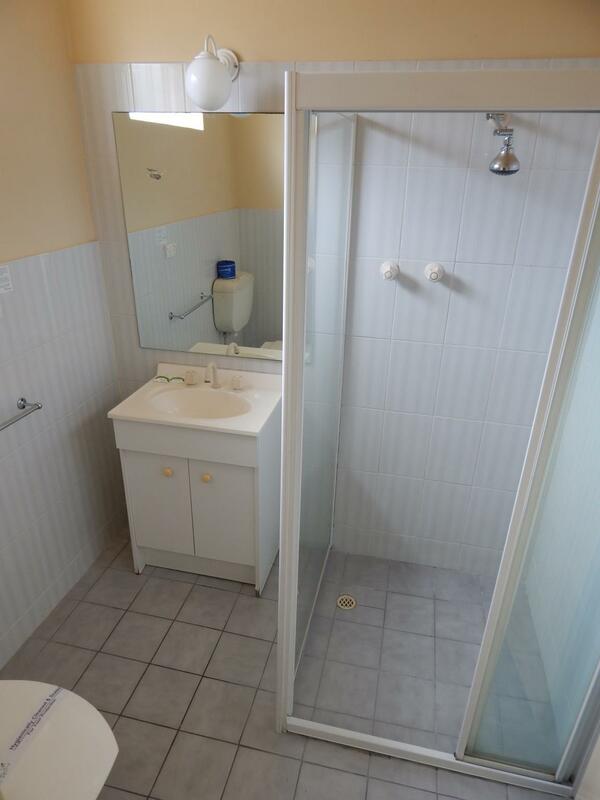 Nice location, not too far from CBD if you're driving. Internet was pretty bad, bed was comfy, not the best shower. I hear the Korean BBQ restaurant next door is really good, would need to try it next time I visit. 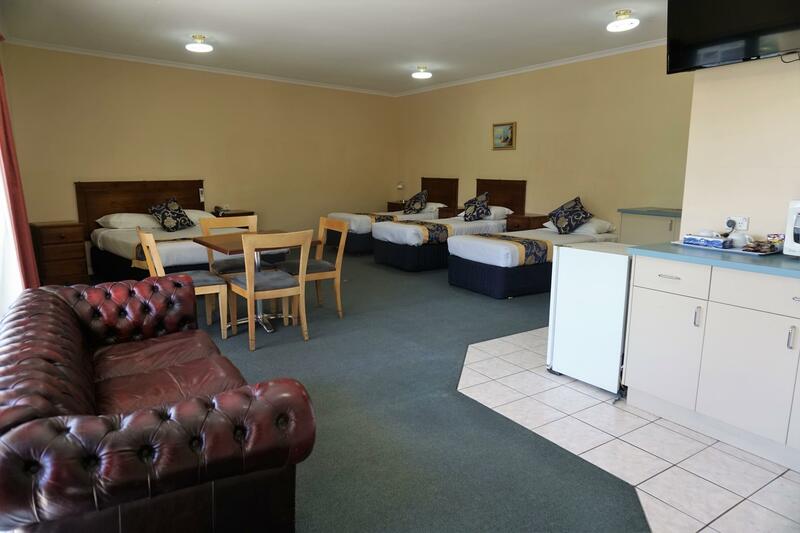 It is always a great experience to stay in this Motel since it is centrally located. The price is affordable and reasonable. The staff has always been very helpful to me. They are most willing to answers all my queries. The parking is also very convenient. This is the reason why I have been checking in in this hotel accommodation. We saw pictures of a kitchen. But the room we got didn't have. Also bathroom door was bad and locked us in with needing lot banging to open. A fire alarm woke us up at 7.30 am. Not sure where from? Make sure you order breakfast by 9am the day prior. Which will be impossible to know and do if you arrive for one day. So call them day before if want continental breakfast for $8.50. Otherwise there is cafe across the road and petrol station cafe close by. 11am checkout is bonus. Although the cleaner didn't knock on door and came in at 10.10 and nearly caught us naked!! 😂😨 Also. I am beginning to check booking. Com because agoda was $110 and the other only $80.. however i only paid $45 using my points. Would stay again and use pool. Korean restaurant in motel is very good but expensive if eating in. $35 per person but all can eat and cook yourself in half hour.. we got takeaway for $15 and was pleased. Rooms were quiet and beds clean. .
Nice swimming pool, basic room with most essentials present (well, no coat hangers or towel rails). Slow to clean rooms, smokers all over the place, but easy location to get to with ample off street parking. Free wifi but bit weak/ intermittent at times. The staff there was very helpful and friendly. I've left my wallet in the room during the rushy morning with little toddler, and the staff kindly collect my wallet and keep it for me as per request. Very honest and nice staff there. It was good for us, as we just stayed one night whilst waiting for a plane. The parking is good, friendly reception. Rooms are simple but adequate. Old style and could do with a makeover. Would stay again as he price is good. Foxhole-sized room, Filthy, No privacy at all. The only interesting thing about this hotel is the low price. For this low price, you get a Tokyo-styled hotel room which is about 200sq.ft. (excl.Bathroom), Add in a Q Bed, mini fridge, TV set, kettle, coffee/tea tray, luggage stand and voila! ... a super-duper compact room which is best maneuvre with yoga techniques. The floor-to-ceiling(not quite, it has transome light) window is big and it has gaps on the side after the curtain is fully drawn. This is fine in most motel room (because it'll be a fair distance away from the bed+off angle). In this room, this peep hole is enough for the pedestrian traffic to do window shopping. Finally, the bathroom floor is so sticky it felt like it has never been clean in the past 50 years. The saving grace is our car is parked close to our room, so we're able to chk-out and drove away quickly. Summary: It's a fair distance away from the city,pay a lil bit more, there are a lot of hotels much closer to the city and cleaner. DO NOT come to this hotel. I really liked this place and will becoming back when i get a chance. the pool was clean and the water was a great temperature. 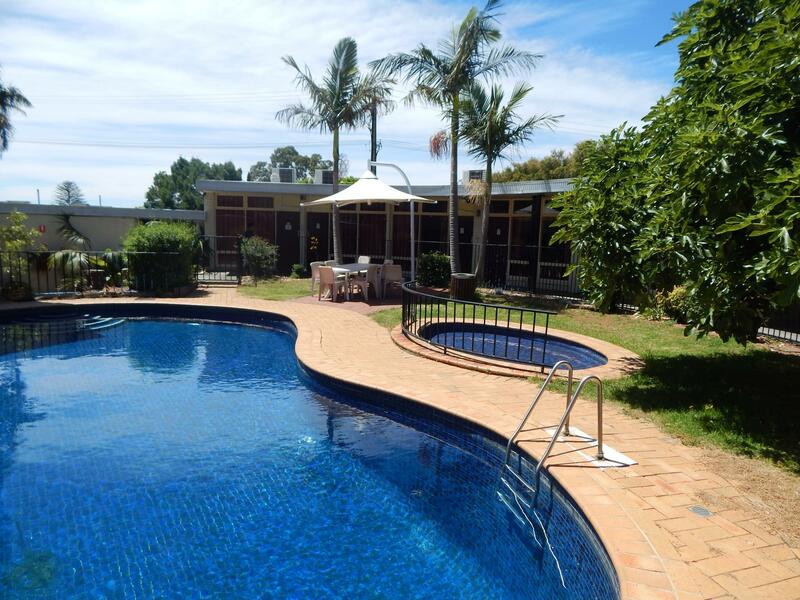 The motel was in a great location with a park across the road that has tennis courts playground nature and bbq and only a few minutes from the city.